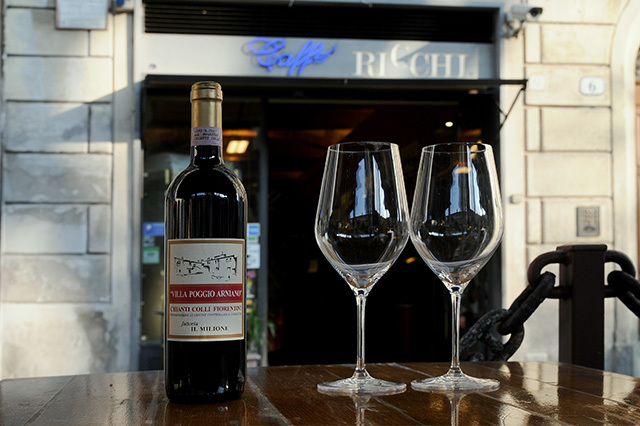 Opened in 1957 by Signor Alfredo Ricchi as the local bar in Piazza Santo Spirito, of a purely Florentine quarter. 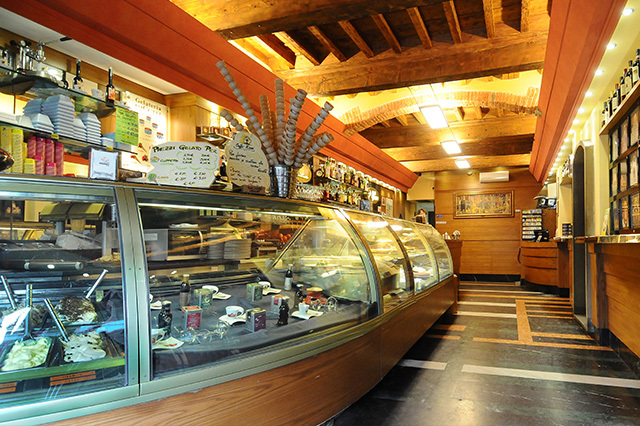 The piazza at the time was the center of the quarters life and the Caffè was the artistic and cultural reference point. Through the years the quarter has been transformed but the bar is still there keeping alive the spirit of the past. 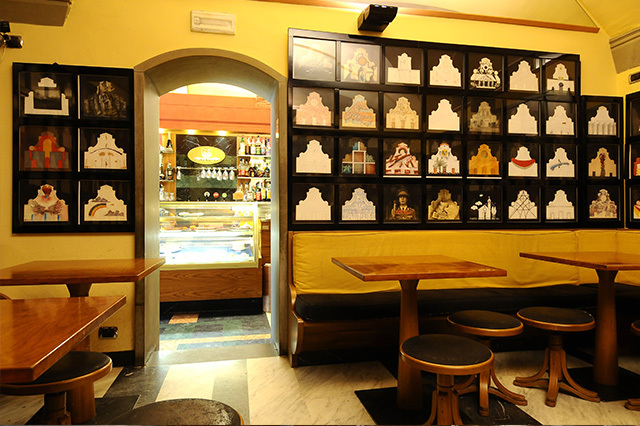 The bar is one of the most historic of Florence. It represents the traditions and memory of the piazza. The various restaurations have all been done with respect for the original architectual projects. To contribute further to keep its friendly atmosphere even the layout has remained the same throughout the years. ... even coffee is an art. We choose it with care, collaborating with the roaster to be sure to offer a high quality product. 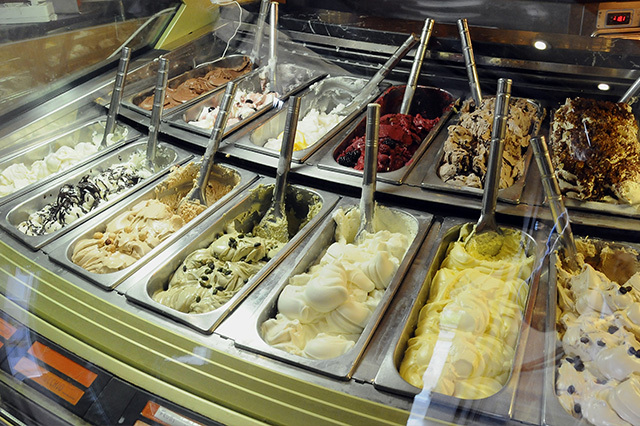 Furthermore our famous icecream, cakes and sweets are all homemade. The restauration projects projected onto the facade of the Santo Spirito church. The dining room of the caffè is a the perfect place to enjoy an intimate and peaceful break and to admire the art on show. During the 80's the bar was the meeting point for everything Florentine, frequented by soon to be famous personalities, and above all was at the center of the project concieved by the Florentine artist M.Mariotti: Piazza della Palla... Piazza S.Spirito... "quando la piazza prendeva forme diverse" (when the piazza takes on different forms). 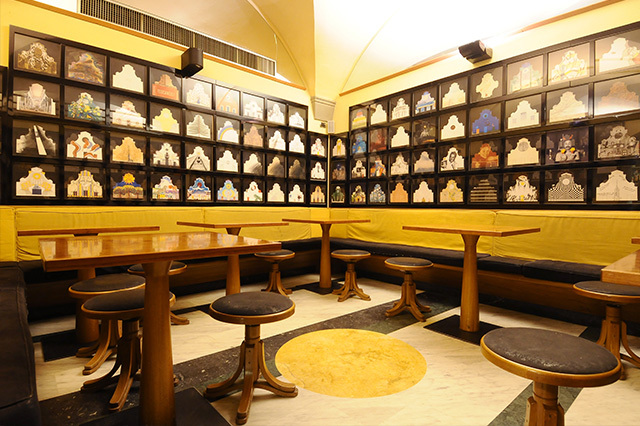 From then on the bar has become famous for also being a museum, infact in the dining room all the archives for the restauration of the facade of the Santo Spirito Church are kept. It is possible to taste, with a choice of seating in the internal room, many of the same homemade specialties served in the restaurant: express first and second courses, all types of salads along with savouries and sweets all made in house.